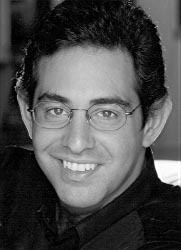 Nizan Leibovich, a native of Tel Aviv, studied guitar and composition, as well as conducting. He holds a bachelor’s degree from the Rubin Academy of Music, where his principal conducting teacher was Noam Sheriff, and a master’s degree from Carnegie Mellon University, where he studied under Juan Pablo Izquierdo. Mr. Leibovich has conducted the Jerusalem Symphony Orchestra, the Young Israel Philharmonic Orchestra, and the Karlsbad Symphony Orchestra, among many other ensembles. He was resident conductor and then associate conductor of the Pittsburgh New Music Ensemble and has also served as an assistant conductor to Daniel Oren at the Rome and Genoa opera houses. He is currently Music Director of the Pittsburgh Philharmonia Orchestra and Artistic Director of the Israeli Music Festival in Jerusalem.